The movement toward open access databases and journals hasn’t been lost on traditional publishers and database vendors. One problem for startup open access journals is their lack of reputation and prestige due to their inherent newness. They have no established reputation or credibility except that of the sponsoring organization: an academic society, institution, or university. Established traditional publishers can somewhat overcome this problem by lending their name, reputation, and credibility to their journals. More and more traditional publishers are experimenting with the open access journal publishing model. Very few journals are converted from the traditional subscription model to open access, most are new journals developed as open access from the start. Generally, the publishers are separating their open access journals from their subscription journals and creating new databases to aggregate and provide access to them. Database vendors may integrate subscription and open access journals with a search filter for open access titles. Here are some major publishers and databases and their current open access offerings. 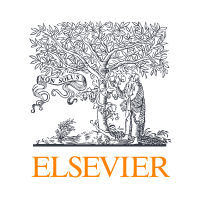 Giant academic publishing company Elsevier offers over 550 peer-reviews open access journals published under the gold open access model. In addition, Elsevier provides free access to archived material in more than 100 paid Elsevier journals. See Elsevier Open Access Journals. 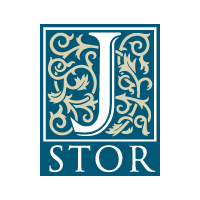 JSTOR, a database of journals and ebooks, offers over 500 open access ebooks with no restrictions on chapter downloading or printing. Librarians can access free MARC records for these titles. ProQuest doesn’t generally support open access. It does offer one service, called PQDT Open, providing open access dissertations and theses. Graduate students pay a one-time fee of $95 through the Open Access Publishing PLUS service. See and search PQDT Open. 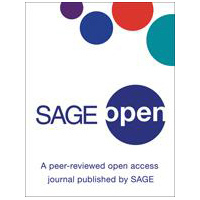 SAGE Open is a peer-reviewed open access journal from SAGE Publications. Coverage spans “the full extent of the social and behavioral sciences and the humanities”. The publishing fee is $395. SpringerOpen contains “200+ peer-reviewed fully open access journals” and an interdisciplinary open access journal titled SpringerPlus. Most of the journals are indexed in Scopus and some SpringerOpen titles are searchable in Web of Science. Authors pay “an article-processing charge (APC)” to get articles published in SpringerOpen. 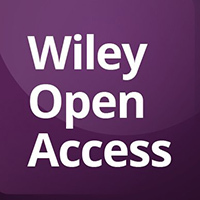 Wiley Open access offers 80+ open access journals. It is a subset of Wiley Online Library. Journal articles are accessible at PubMed Central. Wiley also offers the partially-open access platform OnlineOpen with over 1,300 journals with a mix of pay and OA articles. Wiley charges an Article Publication Charge (typically $800-$2,500) to authors or their institutions. Authors can choose the type of Creative Commons license to publish under.